The kitchen is one of the largest selling points of a home. When guests walk into a home, the value of that home can be determined by the quality of its kitchen. If your clients want a uniquely designed kitchen, ProSource® of North Orange County is here to help. From our selections, you can browse aisles of different products to meet your client’s needs. Only at our showroom will you find such a diverse selection at a price you can be satisfied with. 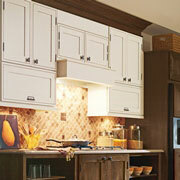 Kitchen cabinets are a great way to introduce base colors into your kitchen. Whether your client desires white, brown, or even black cabinets, our showroom can provide! Stop by your local North Orange County showroom and witness what an asset ProSource can be for your projects. 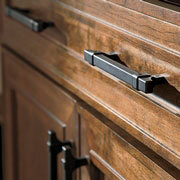 Cabinet hardware, such as handles and knobs, are available in large quantities are our showrooms. At ProSource, you will be able to see for yourself our collection and determine which style would coordinate best with your bathroom. 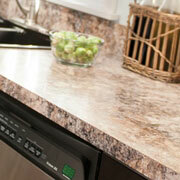 Your countertops are important to your client’s kitchen. Because of this, you want to make sure that wherever you get the materials for their countertop, they are of the highest quality. 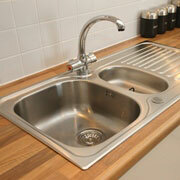 If your client is struggling with a small, shallow sink, it is high time to make a change. Upgrading to a larger sink will not only make washing dishes easier, but help with other sink-related jobs as well, such as thawing meat, rinsing produce, etc. A new faucet is the best way to amplify a bathroom remodel. 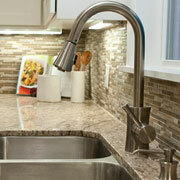 If you clients are looking for a new sink faucet, ProSource of North Orange County is the place to go.